Celebrating new FGI members - Springtime Refinement and Delighting the Senses. Bloom in garden beauty and aroma therapy with fragrances, candles and body products by Joe Malone from SAKS 5th Avenue. Exotic Teas by Coffee Bean & Tea Leaf. Designs by Tea with Iris. Refreshing sparkling wine spritzers, delicious bites sure to delight, raffle and more. 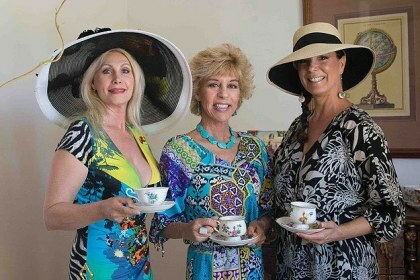 See the excellent wrap-up of the event featured in Palm Springs Life (featuring photographs by MKO Photography).